Lubricant formulators have long been aware of the shortcomings of existing high shear viscometers. 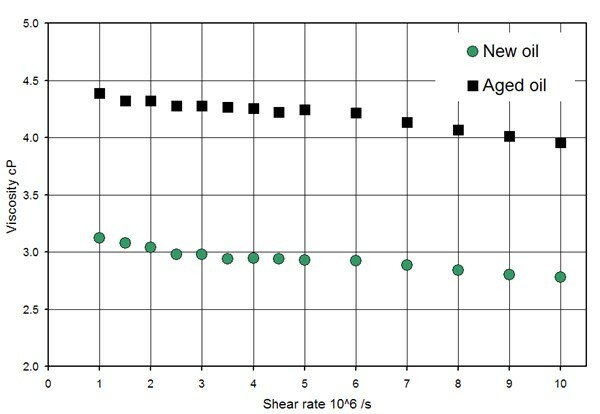 Whilst the state of the art in high shear rate viscometry has remained around the 1,000,000 reciprocal second mark for many years, developments in engine and lubricant technology mean that in-service conditions are more like 10,000,000 reciprocal seconds. Extending the measuring range of existing viscometers is not feasible due to the problems caused by shear heating of the lubricant. Existing instruments also have complicated and time-consuming calibration procedures which have to be carried out manually every time the instrument is used. The USV addresses both of these issues. 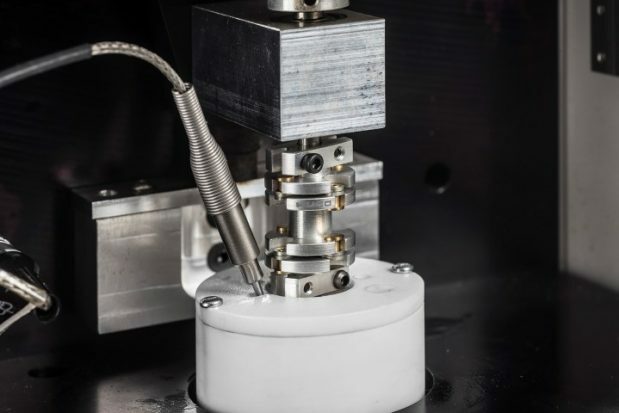 It is capable of measuring viscosity at shear rates of 10,000,000 reciprocal seconds using a novel, patented measurement technique. 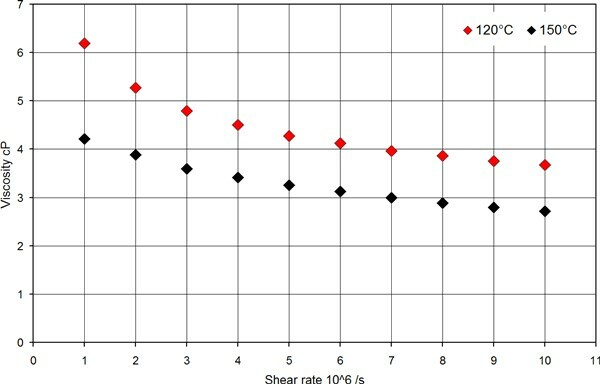 This technique avoids the problems of shear heating found in conventional steady-state viscometers by only subjecting the test lubricant to the high shear rate for a short time, short enough that the oil film temperature does not change significantly. This simple concept allows measurements to be made at much higher shear rates without experiencing problems due to shear heating. The second benefit of this technique is that it allows a once and for all calibration of the rotor and stator to be made at the start of operation. This calibration is then used for all subsequent measurements. The instrument can perform HTHS measurements according to ASTM standards D4683 and D4741 at 1,000,000 reciprocal seconds and 150°C and also D6616 at 1,000,000 reciprocal seconds and 100°C. The measurement sequence is fully automated and controlled by a built in microprocessor. A complete temperature/shear rate map for a lubricant can thus be completed in under 1 hour. The main application for the USV is in the research and development of engine oils and additive packages. 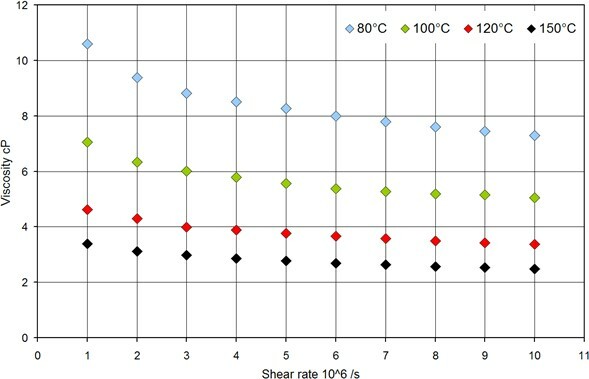 Its ability to automatically measure viscosity at different temperatures and shear rates means that researchers can fully characterise a candidate lubricant with little or no user intervention required. Modern automotive engines run at increasingly higher speeds and temperatures placing ever greater demands on engine lubricant performance. At the same time there is a need for these engines to operate with lower viscosity lubricants to reduce frictional losses and increase overall efficiency. As a result, the shear rates encountered in the main engine bearings have risen significantly and far exceed the capabilities of traditional viscometers. 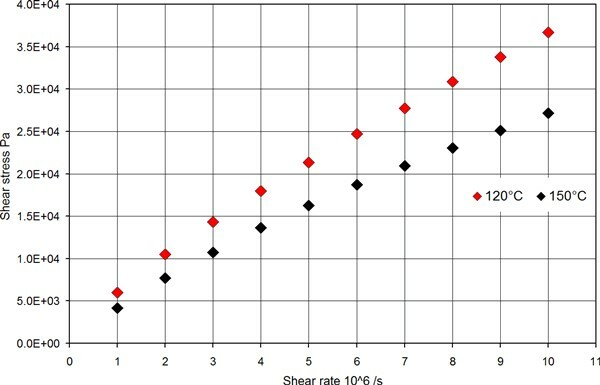 The Ultra Shear Viscometer can assist the lubricant formulator by generating viscosity – temperature maps for high performance oils over a wide range of shear rates. The viscosity of a lubricant changes during use, therefore testing degraded oils is a key issue in some applications. It is possible to carry out tests on used oil with the USV as long as the oil has been filtered down to 1 micron, the size of the radial gap. It is also recommended to use a spare rotor and stator couple dedicated to the testing of degraded oils. Find out more on the Ultra Shear Viscometer and its accessories.